When Euan from Harviestoun got in touch, and suggested a beer and whisky matching evening with him and the brilliant folks from Beercast (you really have to read their blog), I leapt at the opportunity, but perhaps I didn’t give the concept as much thought as I should have. I guess the reason is I quite often have a whisky and a beer. I enjoy the experience, and as a consequence, I perhaps didn’t consider the combination in great depth. To go back to the beginning, the first time I encountered the half and half, was when I was in an old man’s boozer in Leith and I was buying the first round of the day. I was with a couple of work colleagues that were a fair bit older than me, and frequented this pub. I was 19, they were in their 30′s, and adding the regulars who joined us for drinks, the average age was probably 60. This was a Sunday drinking session (our shifts meant we were off Sunday afternoon and Monday), so we would get there at about 2, and drink, gamble (at the bookies next door), watch our horses take the scenic route, tell stories, and stagger out at about 6 or 7, as the old boys left to get their dinner. Sometimes some of the Hibs footballers would wander in for a few pints (this was when the club had a more relaxed attitude to the term “fitness regime”) and there would always be someone selling something, from carpets, to phones, to meat (it always baffled me that anyone would buy their meat in a pub). The half and half seemed to be there because it was pleasant, and increased merriment, but not really for tasting. 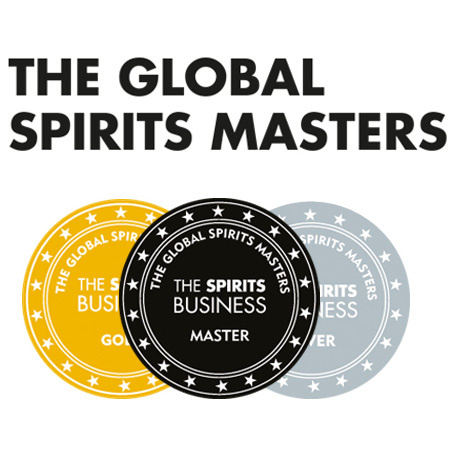 The next time I encountered a beer and a dram, was one of my ex colleagues was talking about a time before strict licensing, where pubs would give you a shot of spirit if you ordered a beer. A chaser. This was the “golden era” of pubs, he informed me, when you would have your ashtray, your pint, your shot and a packet of nuts. Good times. When I got in to whisky, and started attending whisky festivals, pretty much the first thing you would do after a whisky festival was finished, was go get a beer, and normally another dram. 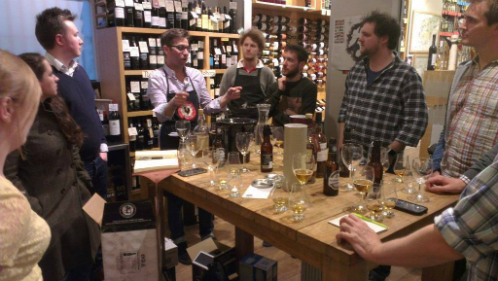 Whisky tastings make you thirsty for beer. 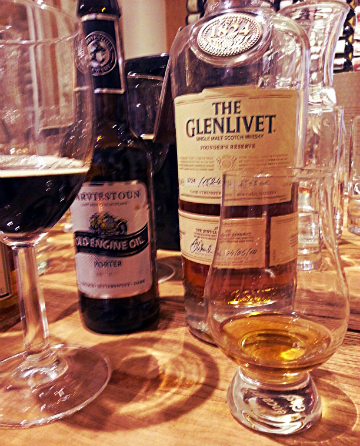 What I had not done, until this evening, was to try multiple beer and whisky matches. It was interesting that as we all stood around the tasting table, that those that had tried a beer & whisky combination had mainly tried them as a reward, or to relax. I thought the sweetness of the lager, and the sweetness of the Glenfarclas 15 worked well, but the oiliness and richness of the 15 was a bit overpowering. The finish was too challenging for the lovely flavours of the beer to come through. 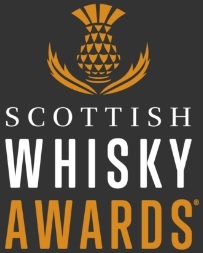 Glenfarclas Heritage and Schiehallion split the room. I liked it, as it was a very easy match, which could be sessionable. Others weren’t so sure, as they both seemed to balance, without producing anything stellar. This was the one that stood out on the evening. The rich, raisiny, but still sugary sweetness of the whisky, sweetened up the dark coffee, chocolaty and maltiness of the beer. The two together, enhanced each other, rather than clashing, or merely working in a grudging way. For those that can’t afford the Glenlivet, I think the Glenlivet 18 and new Nadurra will work just as well. I think it’s the Christmas cake, with the sweet finish that works so well. This was the natural choice for a beer and whisky matching with Harviestoun, as they use Highland Park 12 casks and Highland Park 18 casks in their Ola Dubh range. The two 12′s worked well together, and were my second favourite match on the night. The HP 12′s slight peatiness added a charcoal note to the mix, which was interesting. 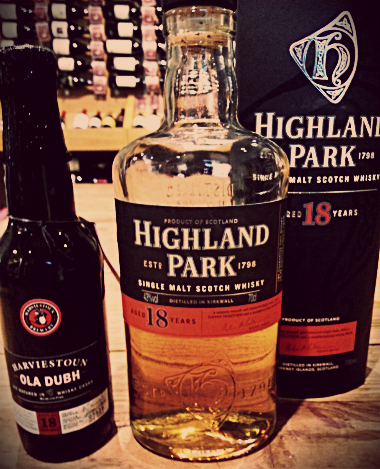 The Highland Park 18 & Ola Dubh 18 didn’t work, as they were both too good to be matched. The whisky is an absolute joy, so fruity, complex and juicy. The beer is lovely and rich, but still intricate, and the whisky overpowers these intricacies. A cracking evening, and there are going to be more of them. I think by the end, we were all in agreement, that in some cases the beer and whisky matching can compliment, and create a new, better experience. Read Beercast’s blog to find out what is coming up next. And read Harviestoun’s blog, because it is really good. This entry was posted	on Sunday, June 1st, 2014 at 4:59 pm	and is filed under Featured. You can follow any responses to this entry through the RSS 2.0 feed. Responses are currently closed, but you can trackback from your own site.